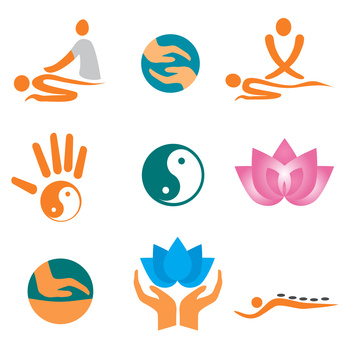 Massage therapy is based on the practitioner using stroking and kneading techniques in order to relax and revive the body and mind mentally, emotionally and physically. Most people believe that massage as a healing source has been around for more than 3,000 years. Ancient healers used this type of therapy to effectively treat illness, injury and fatigue. In modern times, practitioners can choose from about 100 different types of massage. Massage is frequently used as an adjunct with other types of therapy, in particular chiropractic, aromatherapy and osteopathy in order to re-establish the postural integrity of the body. Most of the techniques used today are derived from Swedish or Classical massage. In Sweden during the Nineteenth Century Henrik Ling demonstrated the psychological and physical benefits of certain massage techniques. Ling rationalized the strokes used at the time and their purposes. During World War I massage therapy was used to treat victims who were shell shocked. After that time period, the use of massage lessened as electrical instruments became more popular. The reputation of massage therapy also suffered because of its association with "dubious sexual activities" relating to massage parlors. When George Downing published his Massage Book in the early 1970s which related the importance of human touch and massage as a healing technique, the general feeling regarding massage had a turnaround. Different forms of touch are used on the ligaments and muscles of the body in order to relax, stimulate and strengthen the body. Massage has many proven benefits. This type of therapy helps to free and mobilize joints which are stiff, aids in the recovery from minor problems with soft tissues, and it helps to relieve pain. Massage is also known to enable the digestive system to function more efficiently. Massage can also ease tensions and tissues which are knotted, stimulate the lymphatic system (which helps to eliminate waste from the body), and increase circulation of the blood. Swollen tissues can be reduced through massage therapy, and it can break down adhesions and restore mobility and strength after an injury. Massage not only relieves pain, it also releases endorphins, which are the natural sedatives of the body. In research performed in 1995 in London at the Royal Marsden Hospital, it was conclusively proved that massage improved the lives of cancer patients by reducing anxiety and stress. 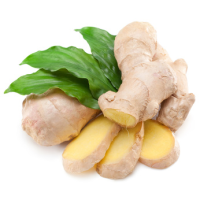 It has also been known to help Bell's palsy, bulimia, bursitis, chilblains, cramps, hip disorders, fibrositis, fluid retention, migraines, muscle stiffness, PMS, shock, soft tissue injuries, sports injuries and teeth grinding. Most practitioners agree it is important to find a therapist who is thoroughly trained and qualified in the techniques of massage therapy. Typically, an individual's physician can provide names of qualified massage therapists. If not, consult a national organization. To receive the therapy, the patient lies down on a surface which is firm in a warm room. Typically, the person is naked except for underwear and is covered partially with a large towel. Swedish massage usually incorporates four basic techniques: effleurage, percussion, friction and petrissage. Effleurage involves slow, rhythmic gliding strokes, with the masseur using his or her fingertips, palms and the ball of the thumb. This technique is the "background" to all other strokes and begins and ends the typical session. It is a gentle massage and does not put pressure on the body. Percussion is a technique which consists of fast, sharp and stimulating movements which are usually delivered with the side of the hand in order to tone and strengthen muscles. Tapotement is the lightest form of percussion massage and is generally applied to sensitive areas around the face and head. Hacking is performed with the fingers in a light manner. Cupping is used on the lower back and over the rib cage and prepares the large muscles for action. Friction (or frottage) is a deep massage using the fingers, thumbs or heel of the hand in small, circular movements. This type of massage helps to ease muscle tension and improves the circulation of blood and lymphs. It is used to treat strained or damaged ligaments and tendons, and also helps to free locked or stiff joints. Petrissage is a deep and often times painful massage where the flesh is squeezed and kneaded between finger and thumb. This therapy is meant to relax the contracted muscles and improve one's circulation. A masseur who is inexperienced can cause harm to muscles and ligaments. Be sure to find a qualified massage therapist before allowing treatments to begin. Massage should not be used for any conditions which are caused by serious, underlying diseases. Massage should also not be used by women who are in their first trimester of pregnancy, or those suffering from infectious diseases. Individuals with shingles, varicose veins, thrombosis, heart disease or phlebitis should not seek massage therapy. Reflexology is typically focused on the feet because of the accessibility and also the larger size of the reflex points. Therapists feel the feet are very sensitive and have a physical and energetic connection to the earth.